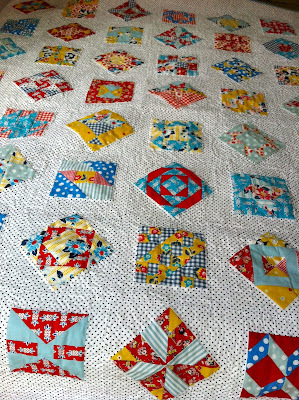 Patchwork n Play: Presenting... "Sunnybrook Farm"
But I really wanted to share my 'finish' for March! 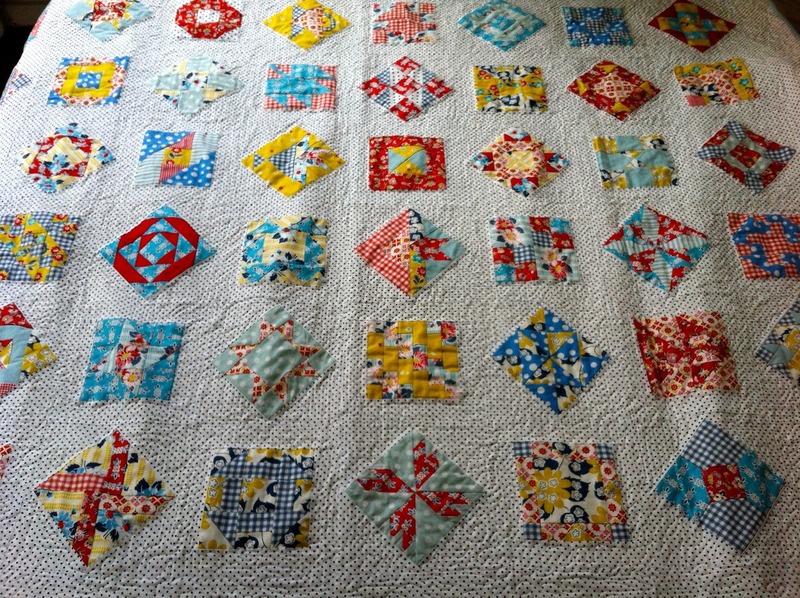 My FW quilt, AKA "Sunnybrook Farm" is done! quite Denysely densely, as is my method! 57 " by 72 "
which contrasts nicely with both the sunny back and the spotty front! I think it let's all the blocks 'shine'! And a view of the pieced back! Can you tell why I have called it "Sunnybrook Farm"? of my Mother's favourite films. And this reminds me of my Mum! She was a bit of a farm girl when she was young. My Mum loved EVERYTHING I made! This is a wonderful finish!. I really like the way you have set the blocks and the background fabric works so well. Great colour choices. Great work with all the quilting, especially on this sized quilt. Just beautiful!! Congratulations on such a stunning finish! It;s fantastic Susan. The quilting really has made the blocks stand out, It's perfect. It almost makes me want to try making some FW blocks....almost! Congratulations on a fabulous finish. It's wonderful! Thank you so much for showing it off! 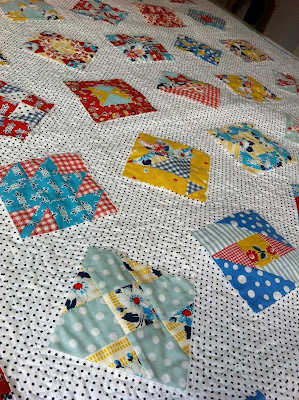 I love the way you quilted it and how lovely those blocks look popping forward as a result. I love the bright bold DS prints against the dots. Wow! Beautiful quilt. The quilting is amazing as are your fabrics! Love it! A quilt that will always give you special memories... the best kind! 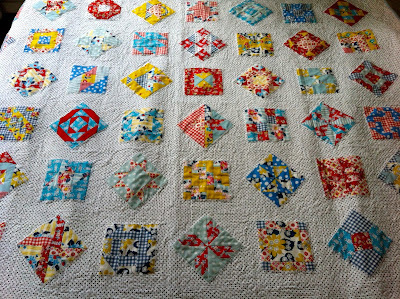 I have watched many FW quilts being constructed and while interesting, I don't really enjoy the finished product - which can be a bit "messy" - however, I absolutely love your setting and quilting - and could actually imagine sewing one... one day... maybe? How's those pickles coming along? It's totally wonderful Mrs S!! It is just gorgeous - i just love it! You have done such a great job and the layout is great! Happy finish! Yep she did, and she still has every pottery piece ever made by me still around the house! 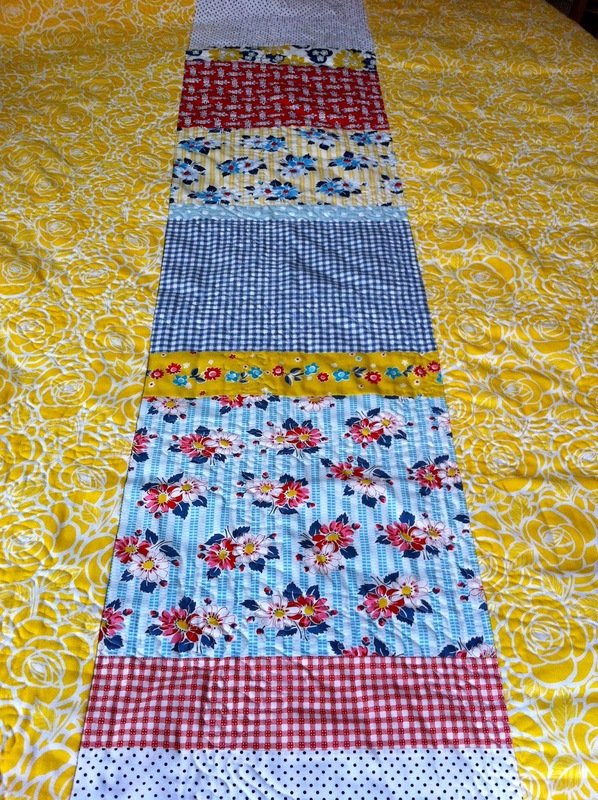 A lovely sunny quilt, I love the yellow backing, very cheery indeed! It is just beautiful and I really love the way the blocks pop up and stand out! 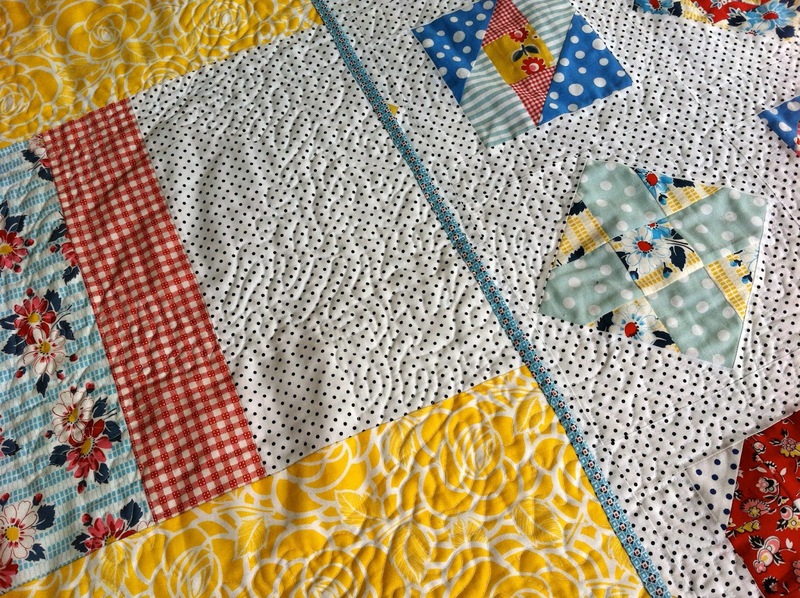 Such a happy, happy quilt. Way to go! I LOVE this quilt, you did an awesome job! And I love your fabrics!!! I'm totally in love with your quilt!!! 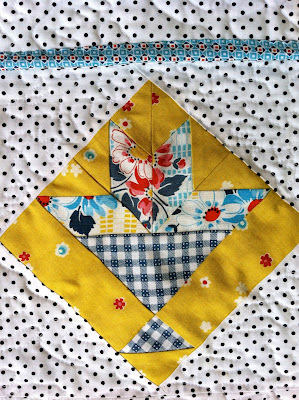 Such a happy quilt and so beautifully made. The name is very appropriate and I just love yellow! Take care. 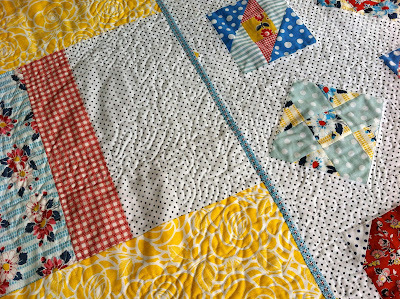 It's such a happy and delightful quilt and the dotted background is lovely. Congratulations on your third finish this year. I am impressed. 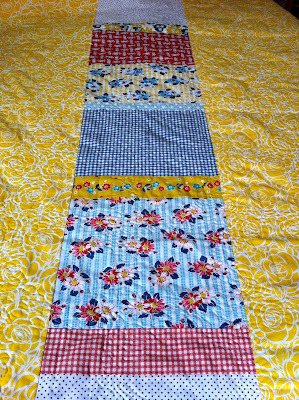 Glorious quilt and maybe just what I need to get me back to mine! One of my favourite FWs for sure and I love the name but then I have a daughter called Rebecca! I, too, rate this as one of my most favourite ever quilts! I love the dots for the background fabric. So charming and cheery! What a beauty! I'll bet your Mom IS ooing and awing over this quilt and all of your quilts, in fact, somewhere somehow. woo hoo! Pat yourself on the back! The quilt is everybit as fabulous as I thought that it would be, Susan. 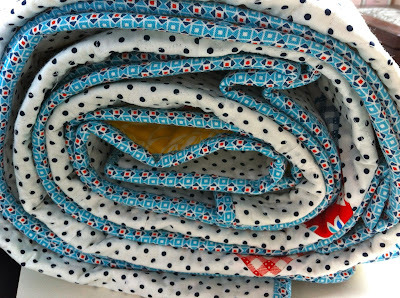 I especially like your dotty sashing fabric...adorable! 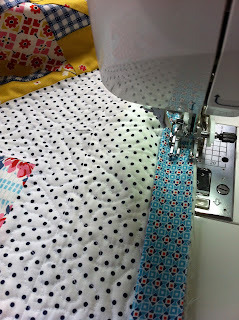 Just popped over from Quilt Story and had to tell you how much I love how your Sunnybrook Farm quilt turned out! I love the 30's prints and combination of square and on point layout. This is one fabulous quilt. Great job! Oh I just love that story, yes our Mom's loved everything! Well, I also love it. 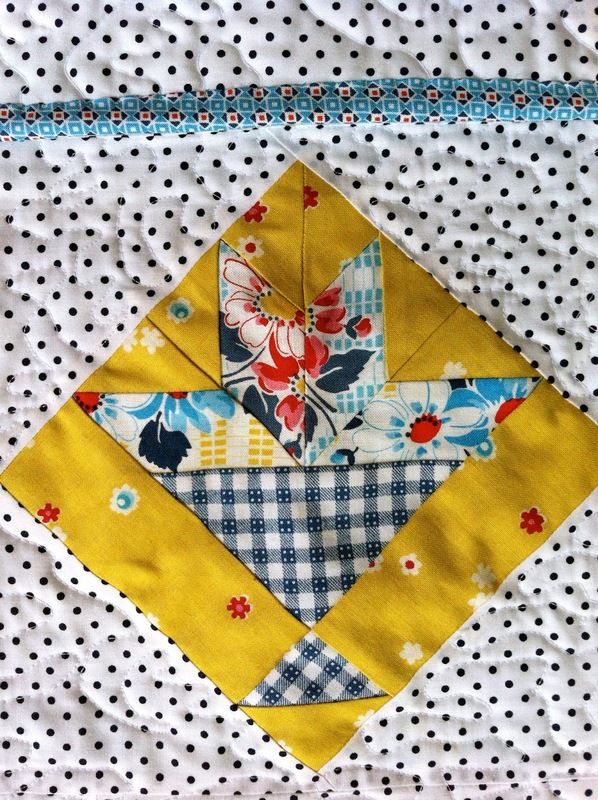 GREAT, fabric choices, love the polka dots, and the quilting! Yes, I love how it makes your blocks pop out. I sure hope mine turns out half as pretty as yours. Thanks for sharing. Love it Susan!! I know why it didn't come up in the search, you don't actually mention Farmer's Wife in this post, just FW! Glad you found it for me though. It's beautiful. :) Did you have any trouble with the templates? I've heard it can be a bit tricky. Did you make all of the blocks in the book?